 GayMenOnHoliday visit Canal Street your gay village. 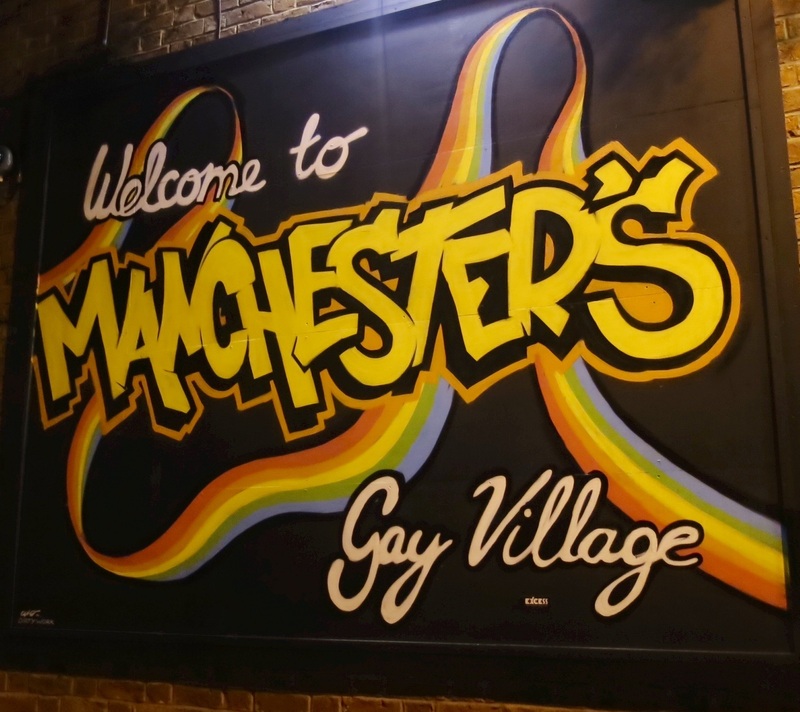 Manchester, England’s third largest city has an active and very vibrant gay scene. 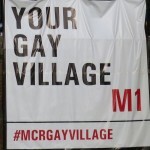 Canal St is the centre of the gay village and it is where it all happens. It is not surprising that many of the gay venues run along one side of Rochdale Canal and on the other side of the street there are tables and chairs for drinking and eating. 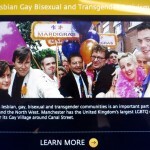 Canal Street, over the years, has grown to be the UK’s largest LGBT centre, outside of London. 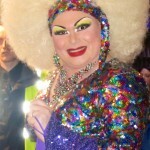 The Gay Village is home to many annual events, such as Sparkle the Trans Festival, the Bears Bash and The Skins Weekend. 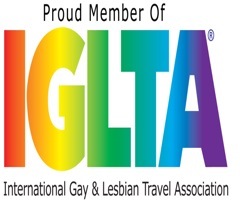 Manchester Pride is one of the top Pride events in Europe and Canal St plays host to tens of thousands of people in late August each year. 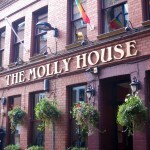 After dinner, our friends suggested we have a drink at The Molly House just one street behind Canal Street. This three storey bar with its comforting ambiance, good range of beers on tap and its excellent tapas, was a great choice. We settled in on the second level where the bar had a large space for standing and drinking and cosy leather lounges at the end of the room. When we were there we found the bar filled with a mixed group of guys. 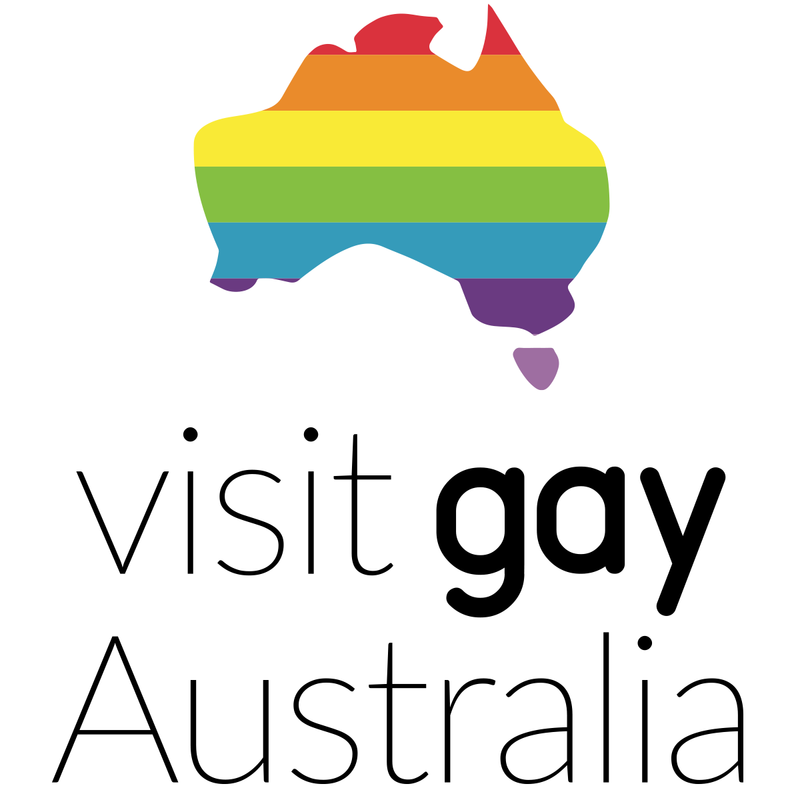 We can highly recommend this bar and when leaving it don’t forget to have a peak around the corner at the three storey high mural on the outside back wall, depicting local gay icons including Quenten Crisp. 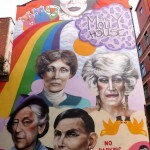 You really need to check out this stunning mural of celebrated gay icons. Manchester is indeed a gay friendly city with so many proud celebrations of diversity. At night there are quite a few colourful characters who liven up the streets even more. 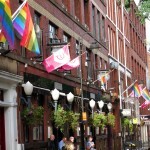 Canal Street is colourful with rainbow flags proudly flying above every bar and club. 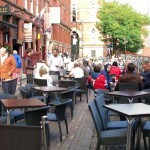 Outside seating means smokers can enjoy a drink and a fag. 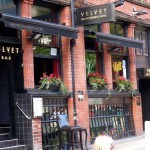 Try Velvet Restaurant and hotel for a superb evening. 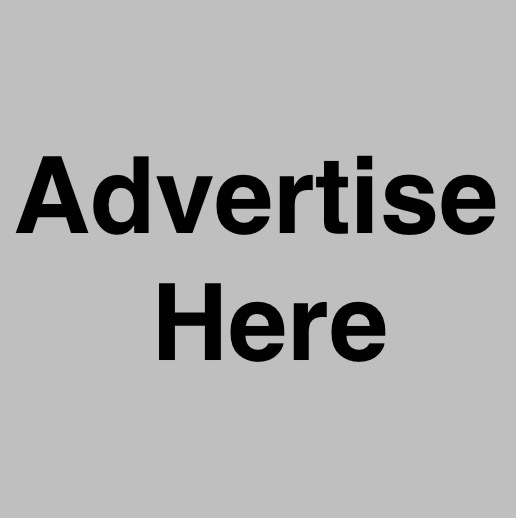 The Molly House is friendly and cosy with a variety of delightful punters. The history of this area is fascinating. The new library just down the road has a great interactive display all about Canal Street. When in Manchester make a bee (symbol of the city) line to Canal Street and the gay village. 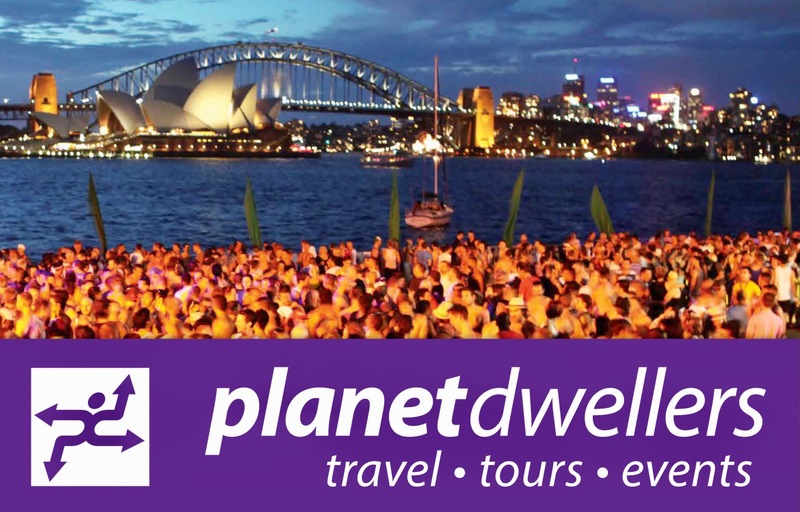 The bars, restaurants and clubs attract a huge diversity of the LGBT community, not only from all over the UK but also from the rest of the world, including Australia. We loved spending a short stay here but we will definitely stay a bit longer on a future visit. P.S. 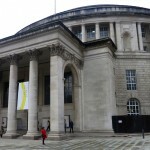 Manchester has recently opened a stunning new library in one of its remarkable old buildings near the town hall. If you want to find out all about the history of Canal Street, it’s community and it’s struggle for equal recognition, the new library is a great place to find out everything. It has an interactive film display which incorporates old newspaper clippings with film and narrative to provide a complete picture of the Canal Street story. We found this place fascinating. Don’t miss it.